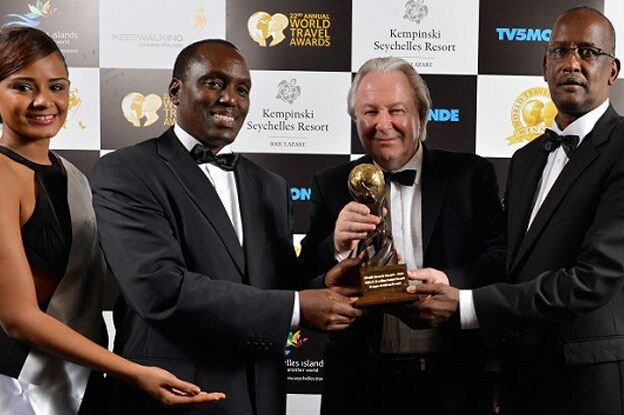 Tourism insiders at the annual World Travel Awards Africa Gala Ceremony are celebrating in Kenya this evening after the winners were revealed at the Safari Park Hotel & Casino in Nairobi. Hundreds of travel leaders from across the continent were in attendance, as the best travel, tourism and hospitality organisations were recognised for their outstanding achievements. Among the big winners were Kenya Tourism Board, which took the title of Africa’s Leading Tourist Board, while Kenya Airways took the title of Africa’s Leading Airline Business Class. Africa’s Leading Hotel Brand went to Serena Hotels, while Mantis Collection was recognised as Africa’s Leading Boutique Hotel Brand. Also celebrating was Julie Dabaly Scott, managing director or Carlson Wagonlit Travel Kenya, who picked up the trophy for Kenya’s Leading Travel Management Company. Fairmont Hotels & Resorts took the title of Kenya’s Leading Hotel Brand, while in the car rental section Europcar was recognised as Africa’s Leading Car Hire, while rival Avis took the title of Africa’s Leading Business Car Rental Company. World Travel Awards president Graham Cooke said after the show: “Tonight has been a fantastic achievement for everybody involved. “Without the tireless support of Kenya Tourism Board over the past 12 months, and Safari Park Hotel & Casino here in Nairobi over the past few weeks, this event would simply not have been possible. World Travel Awards Africa Gala Ceremony was the final stop of the Grand Tour which has already taken in events in Dubai, the Malpes, Peru, Turkey, and Antigua. Winners from each of these events will now proceed to the Grand Final, which will take place at La Cigale Hotel in Doha, Qatar, on November 30th. This is the 20th anniversary of the World Travel Awards, with the programme having grown to become the respected accolade in the sector.